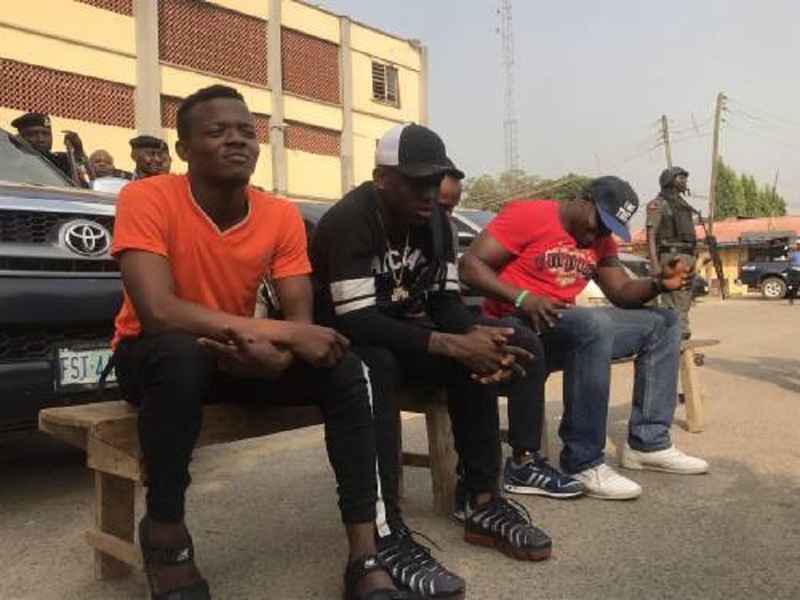 A popular artiste in Nigeria, Adekunle Temitope, otherwise known as Small Doctor, has been arrested by operatives of the Nigeria Police Force in Lagos. The musician was apprehended along the popular Oshodi area of the metropolis for allegedly being in possession of firearms. Commissioner of Police in Lagos State, Mr Edgal Imohimi, who paraded the artiste along with three others on Monday, claimed Small Doctor threatened to shoot a policeman, who was carrying out his lawful duties along the road. “It was then discovered that one of them is the same Adekunle Temitope, a.k.a. ‘Small Doctor’. They were arrested in possession of a functional rifle, cartridge and some of their personal belongings,” Mr Imohimi said on Monday at the Lagos Command headquarters in Ikeja. “Adekunle Temitope, a.k.a. ‘Small Doctor’, was arrested and taken to the state CID for questioning. He was alleged to have fired a gun; the pellets from the gun injured four people who were rushed to the hospital,” he said further. Business Post reports that Small Doctor, was some months ago appointed as an ambassador for the Nigeria Police Force alongside other artistes like Dr Sid, Korede Bello, Ruggedman and Sound Sultan.